Four new wineries for central London | London My London | One-stop base to start exploring the most exciting city in the world. 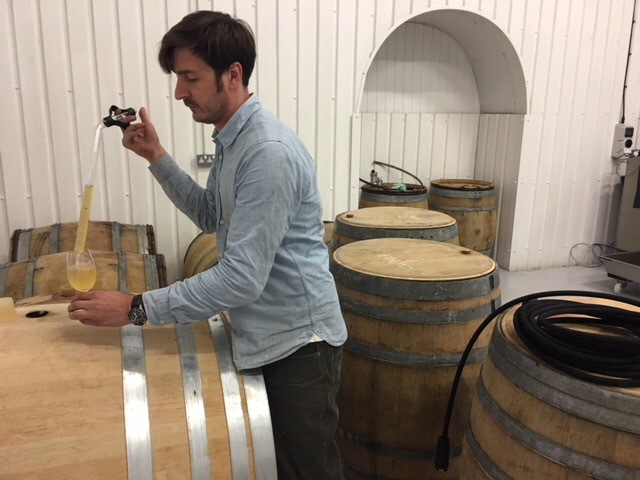 Sergio Verrillo (above), an American from Connecticut, prepares to taste the first draft of freshly barrelled Chardonnay from his new winery under a railway arch in Battersea. His Blackbook is the third winery to open in central London recently as the capital experiences a mini renaissance of one of the worlds oldest professions. 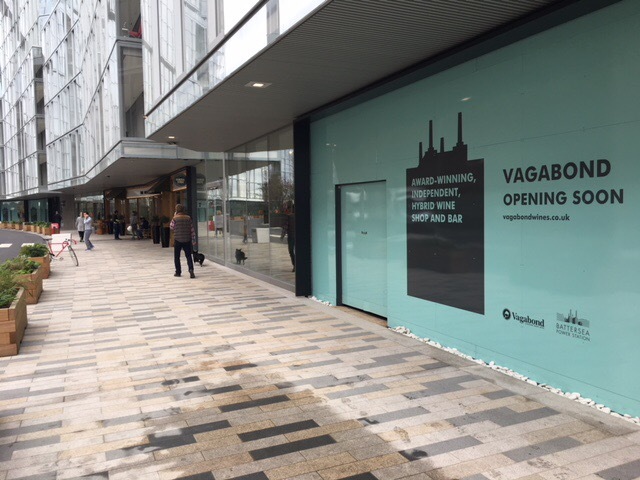 A fourth one, Vagabond, is opening imminently opposite the west wall of Giles Gilbert Scott’s Battersea Power Station barely a mile as the crow flies from Blackbook. Two others – London Cru in West Brompton and Renegade in Bethnal Green are in full swing. They are all winemakers and they need grapes. All of them use at least some sourced from the UK – in Sergio’s case they all come from Essex – but none thus far from London which has two sizeable (though still small) sources of grapes. The more important is Forty Hall, a ten acre community vineyard in Enfield which was on a roll until two unexpected events happened this year – a late Spring frost and marauding parakeets – which have made a big dent in output though it won’t affect latest releases including a large batch of their 2015 London Sparkling available later this month. The other source of London grapes, Chateau Tooting, has had a record year with enough fruit to make well over 1000 bottles. Chateau Tooting gathers grapes from gardens and allotments in London which were collected from a central point at the end of September and dispatched to a professional wine maker to produce a surprisingly good rosé. Sergio Verrillo is in a different league. He expects to produce nearly 4,000 bottles this year with hopes to triple that next year en route to around the 40,000 bottles needed to be viable in the long term. Sergio, who has a background as a sommelier, trained at Britain’s wine college, Plumpton and has worked in vineyards From California to New Zealand to gain experience. He is clearly deadly serious about what he does and has active plans to plant his own vineyard probably in Kent to become the first vertically integrated outfit in London producing wine from his own grapes. Originally, he had hoped to make sparkling wine as well but the lack of suitable fruit means he will just be producing Chardonnay and Pinot Noir this year. 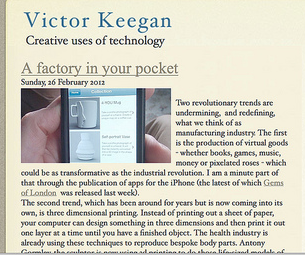 At first he will be selling to the trade and to individual customers including his growing contacts on social media. He also has hopes to make the winery into a destination for tasting as Renegade has done. Inner city wineries are still a novelty but Sergio points out that there are well over 200 urban wineries in the world. No swinging city should be without one.